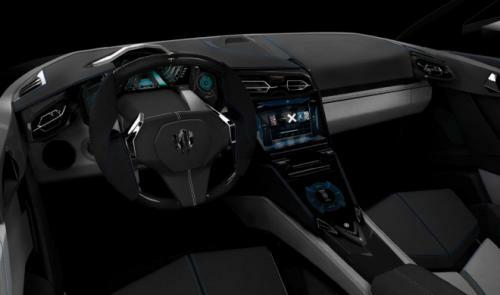 As we all know that W Motors Lykan Hypersports is the first Arab based supercar which was rolled out in a limited number, but we were deprived to get a sneak peak of its interiors due to the tinted glasses, being previewed at 2013 Qatar Motor Show. Again to Kudos, images of inside had recently emerged on the brochure and we wasted no minutes to publish it. The instrument panel zips a “virtual holographic display”, while two more of it can also be seen in its lower and center portion. The inner lines looks hot and crispier, just like outer ones. 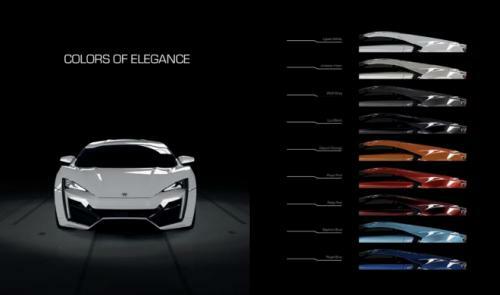 After all, oil rich shaikhs will be given an option of nine paint jobs to choose from. Adding as a reminder again, Lykan Hypersports is powered with a twin-turbo, flat-six, mid-rear engine boasting 750 hp (559 kW) and 1,000 Nm (737 lb-ft) of torque with a top notch of 245 mph (395 km/h), doing a 0-100 kmph (62mph) sprint in just 2.8 seconds. Every W Motors Lykan Hypersports is priced at $3.4 million, inclusive of a Special Edition Cyrus Klepcys Watch that is priced for more than $200,000. However, we too came to know that interior stitches will be done with strings of Gold, henceforth; admirations are guaranteed at every blink!